After the fall winter 2012 fashion season, which was distinguished with the opulence and richness in silhouettes, the coming spring 2013 season is promising to be more modest and restrained in terms of the details, colors and design. For instance, the black and white theme is going to be the season’s big theme as well as the transparent fabrics, ruffles and the reincarnation to the ordinary kimono. Seen in the latest collection of Marc Jacobs, Narciso Rodriguez, Jil Sander and Céline, the basic black and white gamma is a relief for your eye after the previous seasons when the bold hues, bright prints and excessive embellishments reigned. Roberto Cavalli, Reed Krakoff and Haider Ackermann were among the other designers that adopted the transparency idea in their collections by using the featherweight and sheer fabrics such as silk chiffon, organza and mousseline. 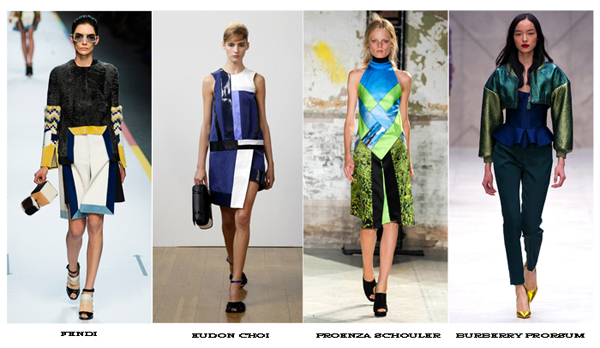 Proenza Schouler made the splicing of fabrics with the collage effect along with the patchworks of exotic skins the key element of his collection, while Rodarte, Derek Lam and Thakoon went for the blend of distinct patterns and textures. 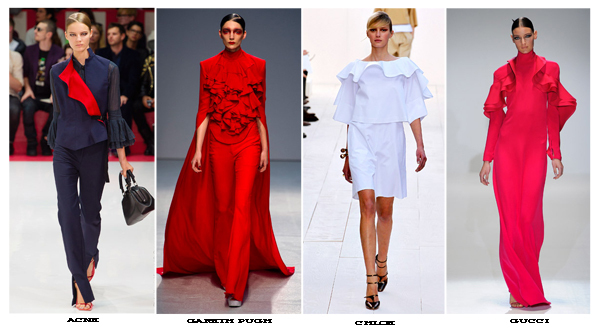 Seems like the ruffles promise to become the spotlight of the comings spring 2013 season: Gucci and Givenchy demonstrated the necklines embellished with frills, while Balenciaga presented the skirts in the flamenco style. Prada made the Far East trend work this season with its origami-styled satin ensembles. Emilio Pucci and Dries Van Noten also turned their attention to the traditional Japanese wear in their latest collections. 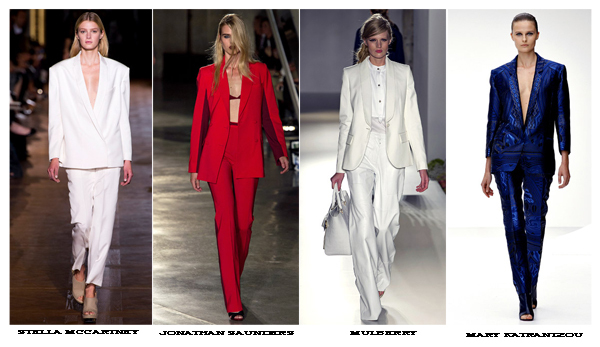 The women’s suit with the masculine cut is the spring’s power player. While olivier Rousteing opted for the bold-shouldered silhouette at Balmain, Victoria Beckham complemented the tuxedo jacket with the miniature bra top.